Bonefish and Tarpon Trust, University of Havana and University of Miami have partnered and will continue researching Cuba’s sport fishery to document harvests. 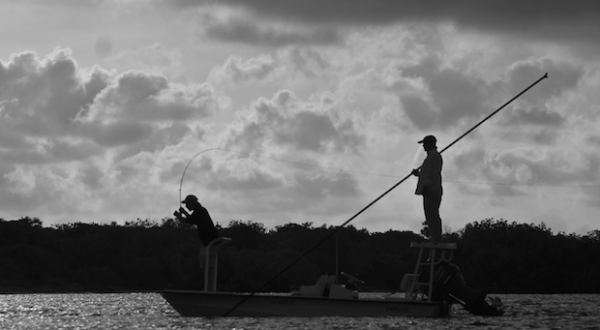 The work to document the harvest of the ‘sport fishery’ in Cuba continues. For this project, we are partnering with University of Havana and University of Florida to conduct surveys of the ‘sport fishery’ – a subsistence-level fishery that is present throughout Cuba – to document the species they harvest, how much they harvest, and where the harvest occurs. The first portion of the survey covered the northeastern portion of the country, and documented harvest of bonefish, tarpon, and permit. The survey also identified two bonefish pre-spawning aggregations that have been targeted for many years. In 2017, the survey will focus on southern and western ports. The information from these surveys will be used to assess the impact these fisheries have on the flats fishery. The next step will be to formulate a conservation education plan for the participants in this fishery to reduce harvest and promote their participation in sustainable recreational fisheries. Interested in learning more about Cuba’s flats-fishing? Click here to read a recent article in Travel Weekly featuring Dr. Aaron Adams, BTT Director of Science and Conservation. Aaron Adams is the director of operations for Bonefish & Tarpon Trust (BTT) and a research associate professor at Florida Institute of Technology. He is one of the foremost authorities on bonefish, tarpon and permit.